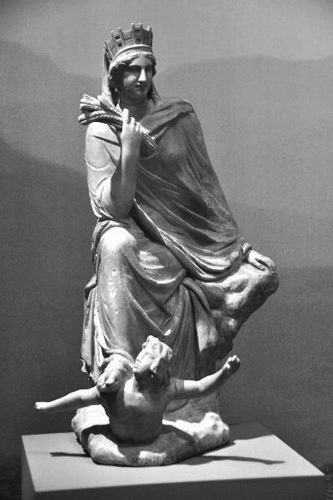 Greek sculptor Eutychides (3rd century BC) is known for a statue of Goddess Tyche (Fortuna). It was commissioned from him by newly founded city of Antioch (located in modern Turkey). 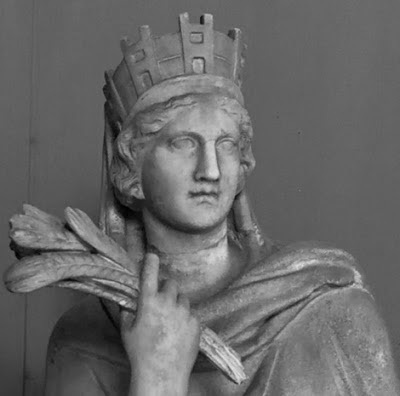 Tyche of Antioch has not survived, but it was very famed in antiquity and became the model for many copies (here Roman marble copy from 1st century BC that can be seen in Vatican). 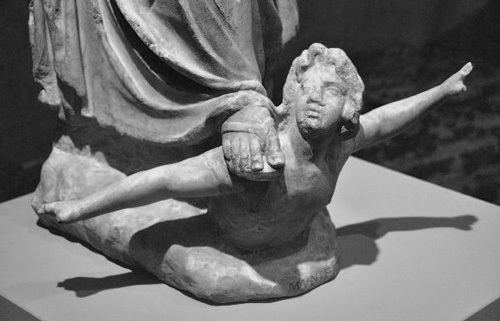 The statue featured Goddess seated on a rock, with Her feet rested on a swimming male (the city itself). Sheaf of wheat in Her hand represented prosperity, Her turreted crown power and security. The statue was money well invested as the city of Antioch (located in modern Turkey) quickly became the second biggest city of the east Mediterranean after Alexandria.